Ahead of a court hearing, technology giant Google facing controversy in India allegedly for hosting obscene and objectionable content on Thursday made it clear that it is not possible for the company to monitor everything on its website. Google and Facebook are among 21 companies whose executives have been summoned to appear in person in a lower court in Delhi on March 13 for allegedly hosting obscene and objectionable content. "I'm hoping there will be a balanced debate around it and eventually the right thing would happen," Google's chief business officer Nikesh Arora said. The companies have challenged the summons in the high court. The next hearing is due on February 2. "We cannot censor the Web. We cannot censor the ability of people to express themselves around the world," Arora told a news chaneel on the sidelines of the World Economic Forum at Davos. "You are asking not just censor the Web in India, you are asking to censor the entire world wide web. The Web has no borders. "I think the idea of censoring everything and pre- clearing everything is going to fundamentally, sort of, taint the growth of the Indian economy in India and vis-a-vis the world," he added. During the last hearing in court, Google and Facebook had argued that there was no way for them to screen content before it was posted online. 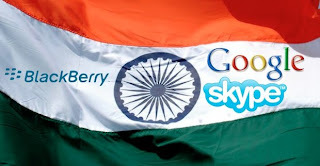 Google had also said the Indian subsidiary could not be held responsible for an act by its parent company. The legal trouble for companies including Orkut, Yahoo and YouTube is based on a petition filed by Vinay Rai, a Delhi resident who has pointed the court to obscene depictions that he found online of Hindu deities, the Prophet Mohammed and Jesus Christ. R R Institutions is one of the list of Engineering Colleges in Bangalore. schools & colleges, along with other facilities, highly qualified faculties and well equipped with sophisticated labs We are proud to say that, many of our students after completion of their course. Great work. I really like this site nice post. Thanks for sharing his information.